These days, you don’t have to be a professional photographer to take some extraordinary photos. With the explosion of high-resolution digital cameras and accompanying photography lessons, you can create some stunning pictures that have that “wow” factor. Wherever you want to visit next, why not take advantage of some of the eye-catching photo-themed travel experiences out there? Here’s a look at some breathtaking photography offerings across our picturesque planet. Launched in 2011 by Canadian professional photographer Jocelyn Mandryk and marketing pro Becky Hayes of London, Foto Ruta (or “Photo Route”) invites travelers to explore destinations using photography via workshops, experiences and tours. The Buenos Aires-based company has opened up two new branches in London and Barcelona in July, aiming to capture the increase in digital image photography and social media sharing. It’s currently featuring several photography experiences in London. The “Foto Ruta Clue” experience teaches participants about street photography, then sets them off in the city to find and capture interesting art with a map and set of clues. “Foto Ruta iPhone Tour” teaches participants about the latest iPhone and Android technology, and then has them take pictures of the surrounding city using this newfound knowledge. “Foto Ruta Street Scape” is hosted by a pro photographer and London specialist, guiding participants to authentic London hotspots while giving them a crash course on photography. And “Foto Ruta Academia” is a customized street photography tour that offers one-on-one lessons over the course of the afternoon. For more information, go to www.foto-ruta.com. Acclaimed American photographer Joe McNally and photo book author Rafael Concepcion will conduct a week-long workshop at award-winning properties Jade Mountain and Anse Chastanet on from Sept. 14-19 in Saint Lucia. The workshop will focus on the “language of light,” how to use small flash expertly, how to make beautiful pictures and portraits and travel tips such as how to travel lightly with photo equipment. More specifically, it will focus on such things as using light to create portraits and storytelling pictures, how to use bad light to your advantage, how to use the environment to tell a story, creating the best high-definition photos (in the jungle of Anse Chastanet’s Anse Mamin plantation) and techniques and business strategies for aspiring photographers (complete with a sunset session with professional models). The five-day workshop is available to resident guests of Anse Chastanet and Jade Mountain only. The workshop tuition is $1,750 (plus $62.45 processing fees, for a total tuition fee of $1,812.45). Separately, each workshop participant will choose a hotel room package with offerings ranging from Superior to Premium accommodations. All participants will receive a complimentary copy of Joe McNally's “Language of Light” DVD. For more information on the workshops, upgrades and extra nights, visit www.ansechastanet.com/events. Looking to perfect your landscape photography skills or build a picturesque portfolio? In its 30th year, the award-winning Wayfarers Walking Vacations is offering two all-inclusive options to Tuscany, Italy: Tuscany & Umbria and Classic Tuscany. The photography adventures include ancient towns, churches and castles; vast countryside surrounded by stunning hills and mountains; Renaissance treasures and welcoming big skies. More specifically, you’ll go on guided tours of Siena and Orvieto, visit the Basilica of St. Francis (a UNESCO World Heritage Site), go olive oil tasting at an ancient monastery and walk through the stunning vineyards of Chianto Classico. Both walks are Walk Level three on a five-level difficulty scale. 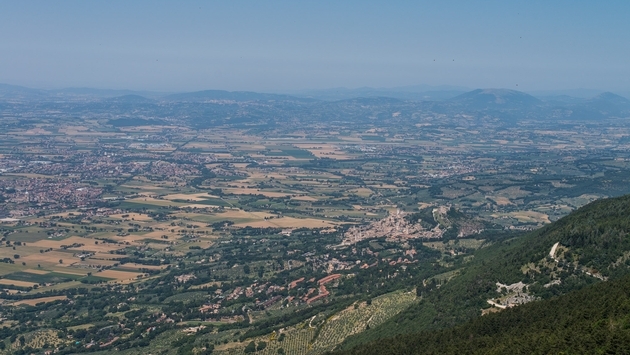 For Tuscany & Umbria beginning Sept. 7, you walk six to eight miles per day through hills, vineyards trails and forest tracks before your final stop at the Castello di Spaltenna (six nights all-inclusive price of $ 4,195 per person, double occupancy). For Classic Tuscany beginning June 7, 2015, you walk seven to 12 miles per day across hills, meadow paths and village lanes (six nights all-inclusive price of 4,295 person, double occupancy). The Wayfarers Walking Vacations has been named by National Geographic Traveler as host of one of the “50 Tours of a Lifetime,” and by National Geographic Adventure as one of the “Best Hiking Companies.” The company boasts 40-plus itineraries in 19 countries. For more information, go to www.thewayfarers.com. If, for some reason, you haven’t been to New Zealand yet, you have no excuse now. Milford Sound Lodge is not only situated on New Zealand’s beautiful South Island, it’s also offering the opportunity to win a $1,000 Visa Pressie Card by taking pictures of the surroundings. The “Best of Milford Sightseeing Challenge” features eight tasks guests must complete, from Te Anau to Milford Sound. Guests must take photographic evidence of the challenges to be entered into drawing for the $1,000. Whether you are exploring pristine rivers and waterfalls or spotting rare birds and marine life, you are sure to capture some extraordinary photos while learning about the region’s history and witnessing Milford Sound’s captivating weather patterns (one fun and daring challenge asks participants to take a photo of them putting their bare feet into the frigid Hollyford River). Open to guests of Milford Sound Lodge between June and August, competitors are asked to email photographic or video evidence of each of the tasks or upload images tagged with #MilfordChallenge to social media sites. Accommodation options include bed and breakfast in riverside or mountain-view chalets. There are also campervan sites with electricity supplied. For more information, visit www.milfordlodge.com/milford-sightseeing-challenge. First thing’s first: The Sofitel REVEALED photo exhibit, which travels to five cities until 2015, was curated by the grandson of Pablo Picasso. Oliver Widmaier Picasso introduced the exhibit at Sofitel New York on June 4. It features more than 30 images of some of the world’s greatest modern artists, including Picasso, Salvador Dali, Jeff Koons, Pierre Soulages, Kees Van Dongen, Rene Magritte, Marc Chagall, Fernando Botero, Joan Miro, Jean Cocteau, Francis Bacon and more. You can find photos of Picasso eyeing a Dalmatian, Dali sightseeing at an animal exhibit at the Paris Zoo, Koons styling a BMW and Van Dongen painting a portrait of the posing Brigitte Bardot. REVEALED will be on display for hotel guests and the public within Sofitel New York until August before making its way to Sofitel Washington D.C. Lafayette Square (August to October), Sofitel Chicago Water Tower (November 2014 to January 2015), Sofitel Montreal Golden Mile (February 2015 to March 2015) and Sofitel Los Angeles at Beverly Hills (April 2015 to June 2015). For more information, visit www.sofitel.com.